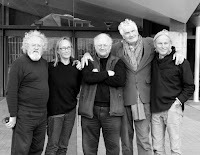 Here is the official press release for the 10th annual Glenn Murcutt International Architecture Master Class - July 11 to 25, 2010. The two week residential design studio program is led by Glenn Murcutt with other tutors including Richard Leplastrier, Peter Stutchbury, Brit Andresen and, Master Class Convener, Lindsay Johnston. A major feature each year has been the insights contributed by Aboriginal Elder 'Uncle' Max Dulumunmun Harrison. Since its inception, participants from 46 nations have attended the program. Participants are primarily, now, practicing architects - older and younger - with some professors, academics, recent graduates and a few senior students. Participants stay for the first week in the exquisite hostel accommodation at the Boyd Education Center, designed by Murcutt with Wendy Lewin and Reg Lark and completed in 1999. The 'big room' at 'Riversdale' is transformed into both banqueting hall and a design studio for six days while participants commence the conceptual design of a project located on a sensitive scenic site within walking distance of the venue. The program includes extensive site investigations, intensive studio tutoring, progress design critiques and after dinner lectures by the 'masters'. The studio relocates to the University of Sydney for the second week, where participants stay in a hotel near the University at Darling Harbour, and culminates in final presentations and a 'Big Crit Day'. Other events in the program include visits to significant houses designed by Glenn Murcutt and the other tutors and, in previous years, a Sydney Harbour evening cruise. 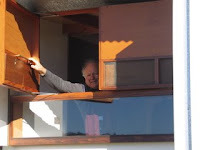 Glenn Murcutt is best known for his 'singular practice' acclaimed through the award of the 2002 Pritzker Prize. He has also been recipient of numerous other international awards including the Alvar Aalto Medal in Finland, the 'Green Pin' Award for Architecture and Ecology in Denmark and the Richard Neutra Award in USA. He received the Gold Medal of the Australian Institute of Architects in 1992 and the Gold Medal of the American Institute of Architects in 2009. Richard Leplastrier is a seminal figure in Australian architecture and is considered as one of the great teachers. He worked with Kenzo Tange and with Jørn Utzon at the time of the Sydney Opera House and his body of work has been acclaimed with the award of the 2009 Dreyers Foundation Prize of Honour in Denmark. In 2004, he was awarded the 'Spirit of Nature Wood Architecture' Award in Finland, also awarded to Renzo Piano, Kengo Kuma, Peter Zumthor and José Cruz Ovalle. He is also a Gold Medalist of the Australian Institute of Architects 1999. Professor Brit Andresen taught at the AA in London before joining the University of Queensland. She worked with Barry Gasson on the winning entry for the Burrell Museum in Scotland and, with her partner Peter O'Gorman, has authored significant works that have been widely published internationally including in the Phaidon Atlas of World Architecture. Brit was the first woman recipient of the Australian Institute of Architects Gold Medal in 2002. Peter Stutchbury is a leading practitioner in Australia with a significant body of outstanding innovative built projects that have been awarded nationally and published internationally. He was winner of the 2008 International Iron and Steel Institute 'Living Steel' Competition for extreme climate housing in Cherepovets, Russia and held the 2008 Catedra Luis Barragán in Mexico, a Chair previously held by Tadao Ando, Norman Foster, Nicholas Grimshaw, Peter Zumthor and Glenn Murcutt.